Inside The House of MacGregor, steam rises into the air from Cassie Macgregor’s iron, disappearing into the photos of happy customers lining the walls. Soft jazz plays in the background. MacGregor is making a hat. The milliner starts by steaming the felt for her best selling fedora and then shapes the hat using wooden blocks. The hat will dry overnight and then MacGregor will add the finishing touches. 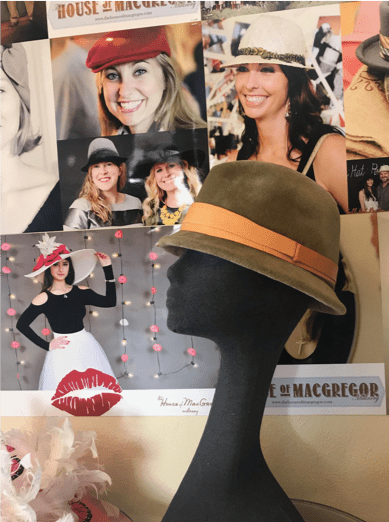 Finding the right hat isn’t always an easy task, but MacGregor, owner of The House of MacGregor Millinery on Davis Street in Dallas, can make a hat in a style that works just for you. She is dedicated to her customers and passionate about her work. The milliner considers herself a people person and she blends her people skills with her craftsmanship. 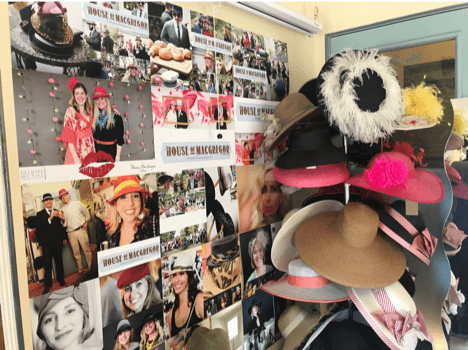 Liz DeBord has been buying hats from MacGregor for nearly as long as the shop has been open. 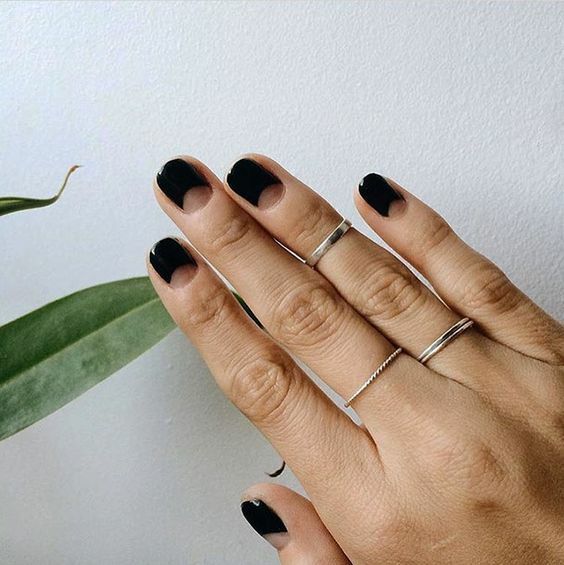 DeBord describes her personal style as classic with an artistic twist. She focuses on minimalistic clothing and bold statement accessories, which include hats. DeBord’s interest in stylish hats comes from her family roots. Her great aunt was a milliner, just like MacGregor. DeBord has bought at least a dozen hats from MacGregor throughout the years. “It’s a nice feeling knowing that you don’t have something that 15 of your friends bought at Nordstrom or Target,” said DeBord. MacGregor focuses on making fedoras, straw hats and Kentucky Derby hats for men and women of all ages. The hats range between $160 to $450. According to Statista, a consumer data provider, U.S retail sales for women’s headwear in 2017 was $400 million. This includes everything from baseball caps to helmets, but the niche bespoke hat marketplace is much smaller. 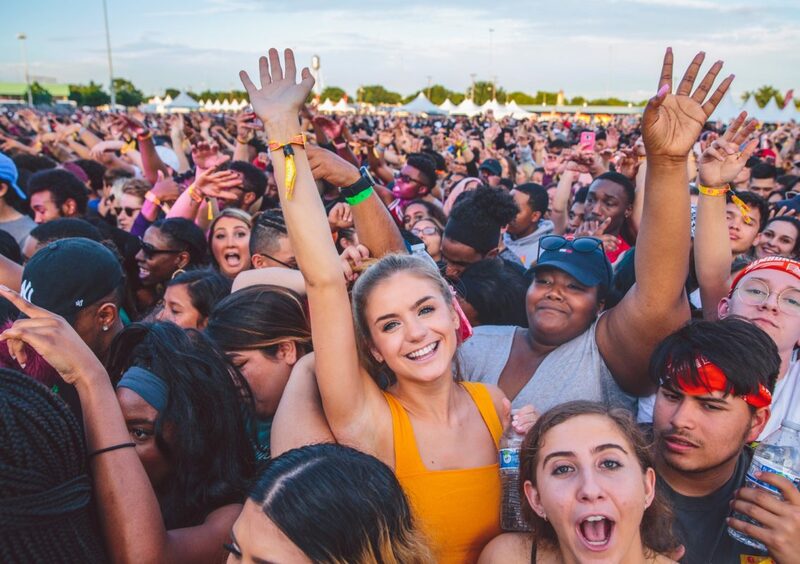 SMU Fashion Media Professor Ethan Lacity, who teaches an introductory class focusing on fashion history, noted that wearing hats is a tradition for certain events. The Kentucky Derby, British royal events, and going to church on Sundays are special occasions for wearing hats. Even though hats were used as status symbols in the past, they don’t hold the same social value today, he said. In the spring, MacGregor’s business relies on making hats for the Kentucky Derby, which usually takes place in May. Most of her time is dedicated to meeting with clients and customizing each hat. Most hats take four to five hours to make. 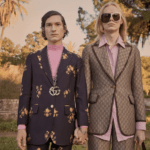 “It’s not odd for someone to come in and try stuff on to get an idea and then come back with their outfit, and then finalize it and come back in for the final fitting,” said MacGregor. MacGregor said she walked to hat making classes at the Fashion Institute of Technology where she honed her craft for two years. After taking the classes, she got the courage to leave her job and began working as a hat maker. MacGregor worked in New York City for four years at various millineries before moving to Dallas. 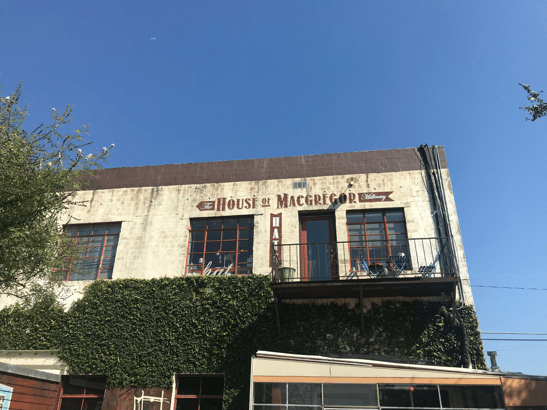 Nestled in the historic Bishop Arts District, The House of MacGregor sits on top of a restaurant. The studio is where MacGregor spends most of her time making hats and meeting with customers. The inviting and colorful space draws you in with its bright walls filled with hanging hats and pictures. “I got the studio space before I got an apartment to live here because I just knew this is where I wanted to be,” said MacGregor. Macgregor had to find her clientele in Dallas. 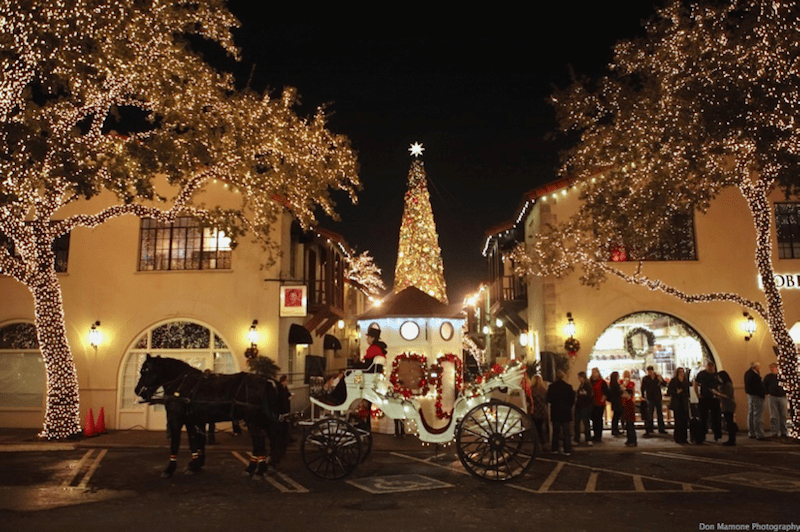 She said she had to figure out who they were and why they wanted to purchase a hat, and if they didn’t, she had to create a reason for them to come to her. The hard work paid off, as many of her customers, like DeBord, return again and again. DeBord describes MacGregor as creative, cheerful and passionate and said her customer service is outstanding. She believes it’s MacGregor’s honesty and dedication to finding the perfect hat for each customer that has made her successful. It can be hard to find the perfect hat. 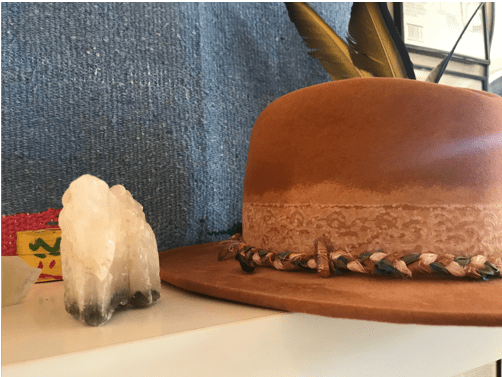 Libby Kuchler, a SMU Sophomore, bought a custom made hat online after taking inspiration from a blog when she was in high school. The hat cost her around $100 and she said she only wore it twice before retiring it for good. She couldn’t find many occasions to wear it, and she was disappointed with the fit. “It’s kind of hard to perch it at the right angle and my head did not cooperate,” said Kuchler. MacGregor always encourages anyone who wears hats, or wants to start wearing hats, to try on as many as possible, whether it is bespoke, or purchased from a store. 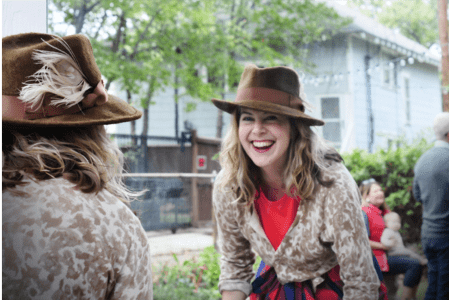 “I don’t like to send someone off in a hat that doesn’t feel right and you can just tell when it makes a connection,” said Macgregor as she sewed a ribbon to a black felt hat. Cassie MacGregor, owner of The House of MacGregor.